Thoughts on development, technology, media and occasionally, on being a dad. 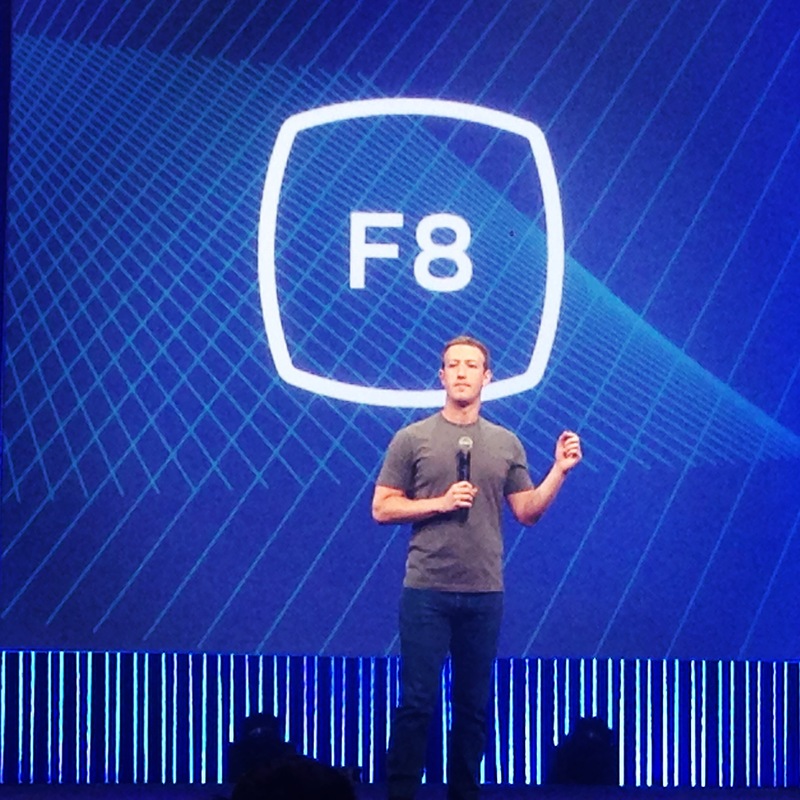 The f8 conference was an epiphany for me. I saw the rise of a totally vertically integrated media company where content, communications, commerce, audience and advertising were all neatly wrapped up with a bow on a single platform called Facebook. One of the big ah-ha moments for me was when Facebook founder and CEO, Mark Zuckerberg, illustrated the evolution of sharing. In the early days it was all about text. It then moved to images (hence the acquisition of InstaGram) and now video, where Facebook is rolling out a series of new video experiences for the user, for video producers, and for brands. In the not-too-distant future, sharing will evolved to virtual reality experiences as well (think Oculus). What was amazing to me was that this evolution wasn’t about the most life-like way to share a cat video or what you had for breakfast, it was about sharing and broadcasting content in general. Any content in any format can now be targeted at exactly the right audience at the moment they are mostly receptive to it. Facebook is a platform where you can browse for content and rely on serendipity for discovery, where content is recommended to you by your friends, and where content can find you based on your stated interests. 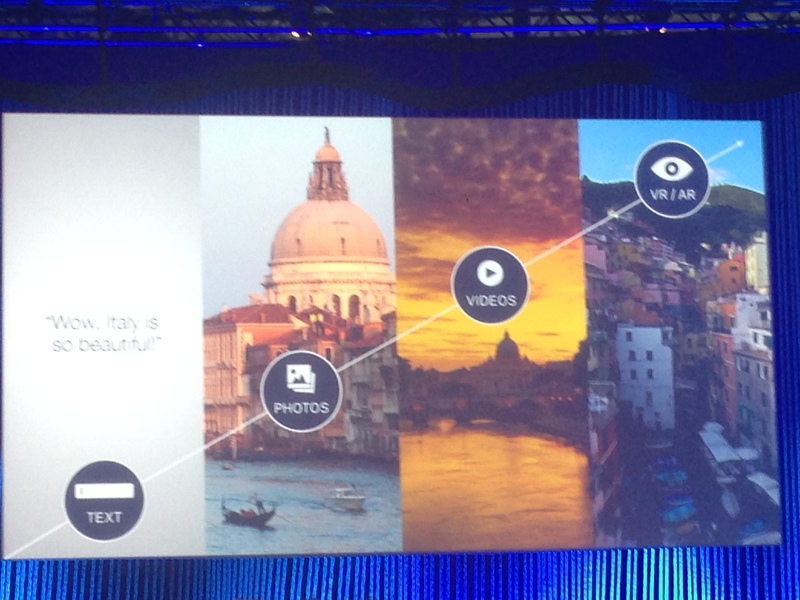 For the everyday consumer, that content could be the mundane (cat video) or it could be the profound, as in the example Zuckerberg gave of sharing moments of a trip to Venice. Media companies and brands (which are rapidly becoming the same thing, but that’s another discussion) can use these same immersive, targeted experiences to tell stories and provide information to their audiences. The sophisticated targeting on Facebook means you can aim both content and advertising at exactly the right audience. Want to target a piece of content to 35-45 years olds? No problem. Within that content, do you want to target advertising only to females 35-45 years old? Facebook has you covered. No wasted ad-spend here. Presentation after presentation demonstrated that Facebook is one of the premiere platforms to share any sort of content; personal, professional or corporate. I recently heard the clever phrase “If content isn’t spread, it’s dead.” That is so true. As a brand, agent or advisor, if you have amazing content that isn’t shared by your audience to their audiences, it isn’t making any more sound than the proverbial tree falling alone in the forest. Through its reach, targeting capabilities, and both organic and paid distribution options, Facebook is ensuring that content producers, be they cat and breakfast enthusiasts, brand or agents, or Pulitzer prize winning publications, can locate, zero-in on, and engage exactly the right audience at exactly the right time.